Reddick is known for their precision sprayers that consistently out-perform the competition. 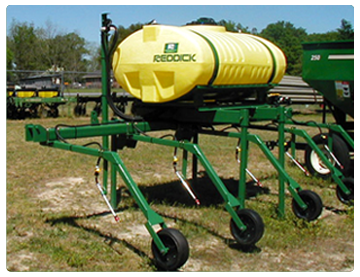 Reddick has been manufacturing agricultural sprayers & other equipment for more than thirty years. Units are available from 50 to 1600 gallons. 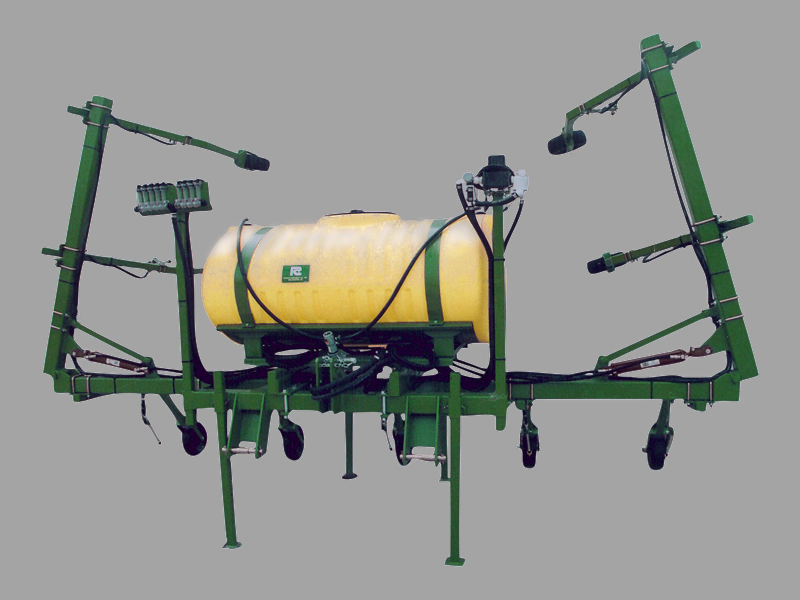 The Reddick Lay-by sprayer is developed for late application of contact herbicide when cotton and other crops have reached a mature height. Individual arm and wheel assemblies follow the contour of the ground for optimal nozzle placement and liquid application. Heavy rubber tires reduce nozzle bounce in rough terrain. These and other premium features make Reddick Sprayers the accurate and easy to use choice. If you're interested in buying a Reddick sprayer give us a call or email today. If you're in the area, stop by and shop our in-stock selection. Looking for John Guest Fittings?